A few weeks ago FanFuel got to chat with mega sportswear brand Lululemon about their army of ambassadors; today we have the pleasure of meeting one. Daniel Cook, CrossFit instructor and aficionado, has a history in competitive sport, a drive second to none and a passion for creating a feeling of community within his sport. Here, he reveals the workings of his relationship with Lululemon and the true meaning of being a brand ambassador. 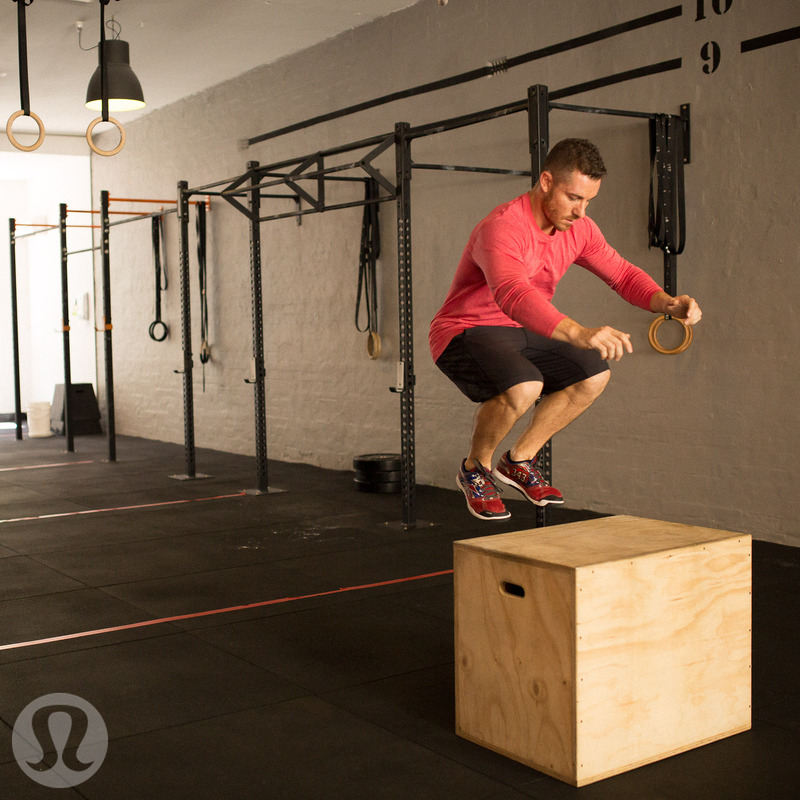 Hi Daniel, how did you become a Lululemon CrossFit Ambassador? Hi Fanfuel, it’s quite coincidental actually: I didn’t know the brand, let alone imagine they would have a men’s section, until one day I accompanied a friend of mine to a Lululemon store. My first time in the store I tried on a pair of CrossFit shorts, they were great quality but a bit too long for me. The in-store ‘educator’ came over to me and suggested I try their free hemming service. A week and a pair of shortened shorts later I was one happy customer. I wrote a gleaming review on the Lululemon Facebook page and it went viral! The brand got in contact with me and connected me to my local store. I was then asked to hold some free CrossFit demos in the store, I agreed and after 6 months and a number of in-store events I asked Lululemon if they would in turn sponsor my team for the CrossFit Regionals. The rest is history! What are the benefits of being an ambassador for Lululemon? What do they provide you that is helpful to your individual sporting mission? The biggest benefit by far is the community that springs up around you. Lululemon has lots of connections some of which in turn are connectors to other people in the sporting community. All these people are positive influencers, people who want to spread their enthusiasm and love for sport. Another benefit of being allied with Lululemon is that they really take interest in the personal and brand development of their ambassadors: they have done business coaching with me as well as offering me a personal development course and a course on how to achieve your goals. They are always enthusiastic about my CrossFit business and some of the educators even come to do classes with me. They also personally promote me on social media by sharing content on Facebook and Instagram. Lululemon doesn’t pay me to be an ambassador, it’s not a financial relationship, it’s much more than that. This is about an individual and a company who have the same mindset and share the same core values. Were you already using social media to promote yourself as a CrossFit athlete before becoming a Lululemon ambassador? If so, what platforms? The answer would be yes, to some degree. I was promoting myself as a CrossFit athlete on my personal Facebook profile rather than on an athlete or business page. Now CrossFitBlack has it’s own page, which is more engaging for the gym members and gives us more visibility. I’ve also always used Instagram, although I haven’t gone to extreme measures to grow that audience. Does L ululemon allow you to post whatever content you like on social media or do you follow specific briefs? 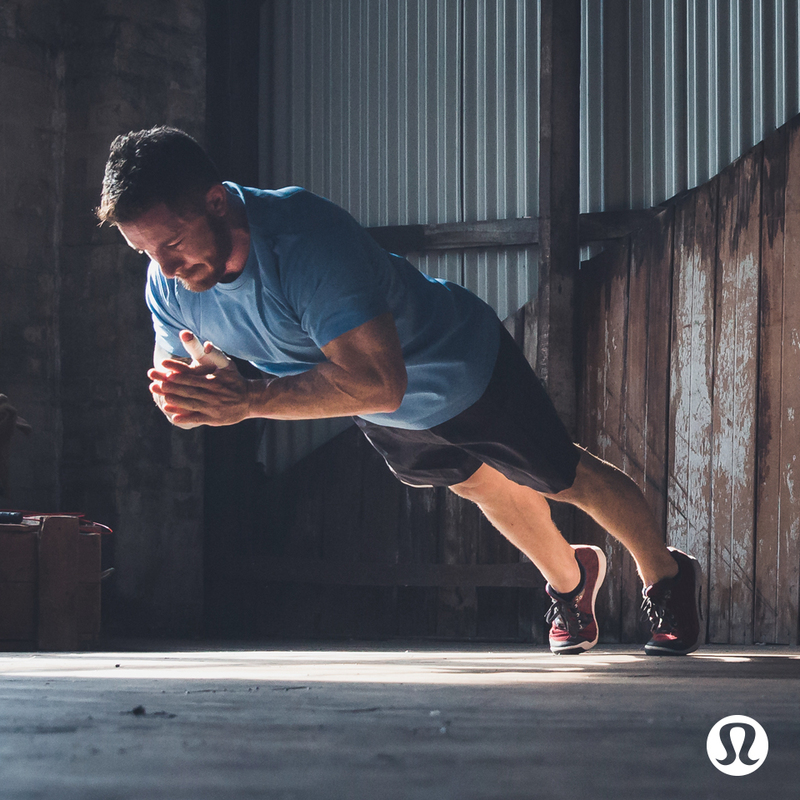 Tell us a bit about your commitments with Lululemon on social media. Lululemon let me post anything that is relevant to their brand and it’s up to me to determine what. There are no official restrictions but I always keep in mind the core values of the company. The system works well because I constantly feel the desire to show my gratitude to them online, seeing all the support they’ve given me as an athlete. I’m really proud of being an ambassador so I help them in any way I can. How does you as a brand ambassador keep in contact with Lululemon? Do you use any special software to communicate with them? Our contact flows very well. For urgent communication a phone call works best, otherwise email, text, or even Snapchat. Lululemon also has its own platform, the “Ambassador Commons” for fellow ambassadors to keep in contact on. The style is somewhat similar to Facebook, perhaps a little less user friendly, but it works just fine. I recently attended the Lululemon Ambassador Summit in Canada and as the only Australian there I was glad I could chat to fellow ambassadors online as well. How does Lululemon measure their ROI (return on investment) of having you as an ambassador? There are no data metrics that I know of; I just get positive feedback from Lululemon. The thing that makes this brand different is that they are not elitist in any way, you don’t have to be in professional sports to be a valuable member of the ambassador community and there are many people who instill the values of the brand successfully, without the need to use metrics to measure ROI. 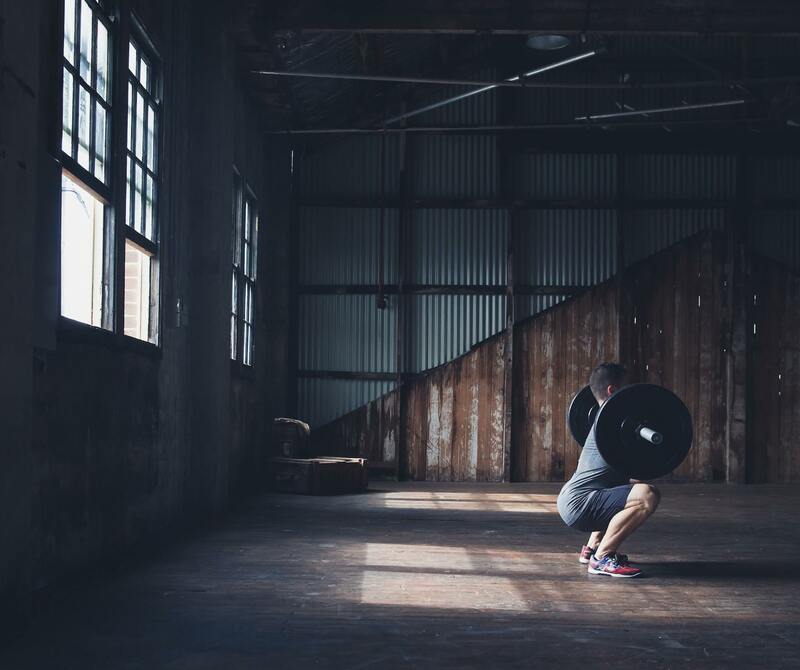 There are definitely better CrossFitters out there than me, but I was chosen for the values I instill by working hard on my business and doing it in a way that aligns with motivating people to get active. Before I became one of the Sydney Lululemon ambassadors, CrossFit in Australia was relatively unexplored. The store manager that I worked with had that vision of how the sport could work for the brand, he could imagine the benefits of tapping into such a huge new market. On the flipside I think that me being an ambassador helped bridge the gap in people’s minds that Lululemon might be a brand focused largely on yoga and the female market. You told us that you’ve just got back from the Lululemon Ambassador Conference in Canada, what was that like? What was the goal of having all the ambassadors together? The conference was outstanding; it was all about trying to get likeminded people together. There were around 130 ambassadors and I was the only Australian, there were also ambassador alumni and some professional athletes who are also Lululemon ambassadors. The conference activities focused a lot on personal development, on bringing out positives instead of negatives when you coach. It taught us to be bold, to not be afraid of dreaming big. It instilled in us the common goal of building ourselves both as individuals and athletes. I really felt like I was part of something special. 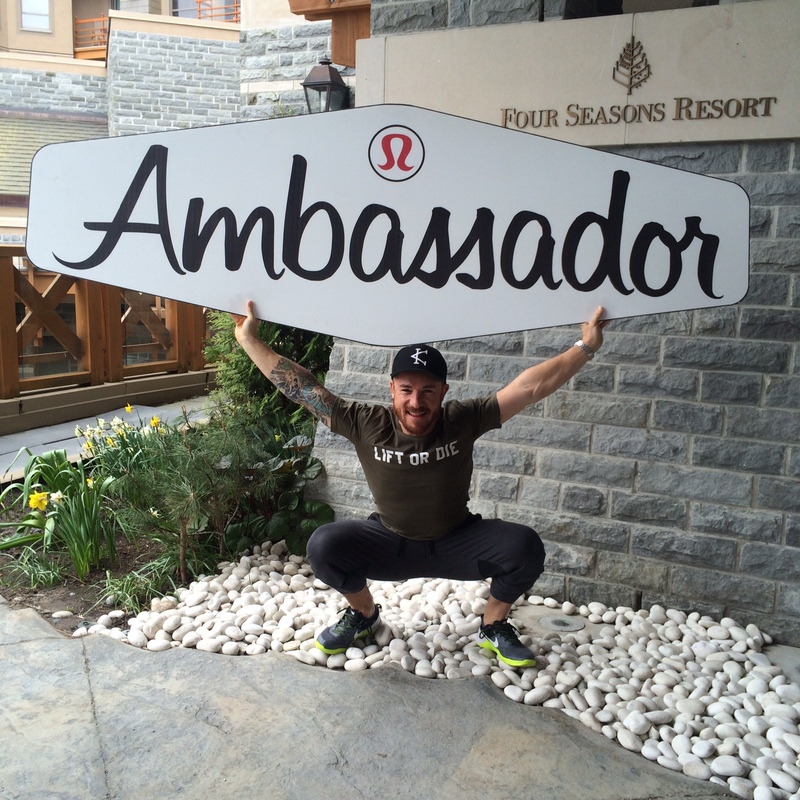 What has been a memorable moment of being a Lululemon ambassador? A moment I won’t forget was the first in-house CrossFit session at my new gym. It was Friday 13th 2013 and the Lululemon cohort attended my session to support me in my new venture. I was so touched that I immediately wanted to give back something, I approached them about running an event and we turned it into the 1st public CrossFit event in Sydney CBD. Lululemon are always so helpful, they’re the type of brand that are along the lines of “yes we can help” rather than “no we can’t”.